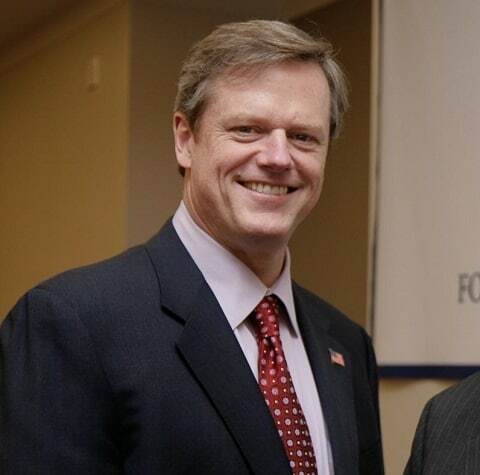 Charlie Baker (above), the Republican Governor of Massachusetts, has shown signs that he does not intend to veto a bill extending rights to transgender people in the state. Last week, Baker was booed off stage while speaking at an LGBT event for failing to take a position on the bill that would prohibit discrimination against transgender people in restaurants, malls, and other public accommodations. However, according to the Boston Globe, those comments coupled with a statement from his spokeswoman suggest that he is unlikely to veto the legislation. Democratic Massachusetts House Speaker Robert A. DeLeo said he expects the bill to pass next month. Watch Baker get booed off stage at the Boston Spirit Magazine’s LGBT Executive Networking Night last week.